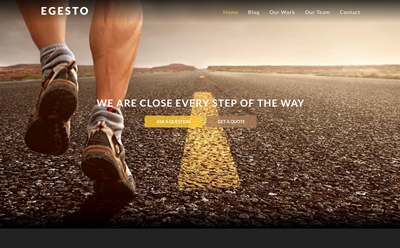 The theme comes with plenty of features, header image, custom home page template, portfolio template, team members template and many more. 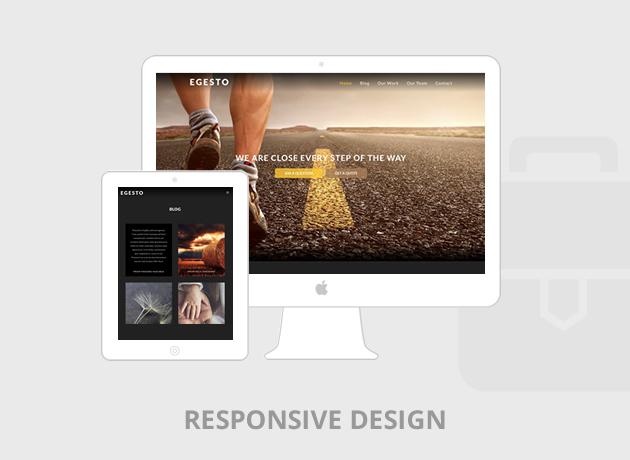 Egesto is tested through multiple devices, be it a desktop, notebook, tablet or mobile phone, Egesto comes with a fluid layout that adapts well across devices. The theme comes with a custom home page template that enables you to display your services and content with style. 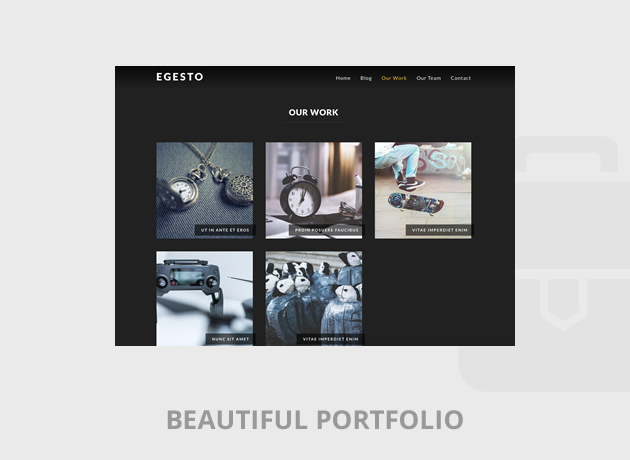 Egesto is equipped with a clean portfolio page template which will enable you to showcase your work in an attractive way. Show the power of your business by displaying your team members with the beautiful team members page template of Egesto. Add social accounts icons for each of your team members easily. Add links to your Social media accounts easily with the integrated Social Media menu. Egesto comes loaded with 28 social media icons to have your visitors connect to you. Child theme is the recommended way to modify your theme. Egesto enables you to create and activate a child theme with just one click.